Google Play Store is the most popular Android app store containing millions of free and paid apps for Android devices so it’s the first place you can think of whenever you want to download apps for your smartphone. But due to one issue or the other, you may encounter errors trying to download apps directly from Google Play Store that is where you need alternative app stores that also contains huge number of Android apps. There are many apps like google play store but here we curated the top 6 play store alternatives to download your favorite Android app whether paid or free app. In some occasions, your preferred app may no be available on Google Play but on these third-party Android app store alternatives so you see the reason why you need these apps at one time or the other. Some of my favorite Play Store alternatives are Blackmart, Aptoid, Getjar, Apkmirror, Amazon app store and Appslib. I will write more about these apps on this article. 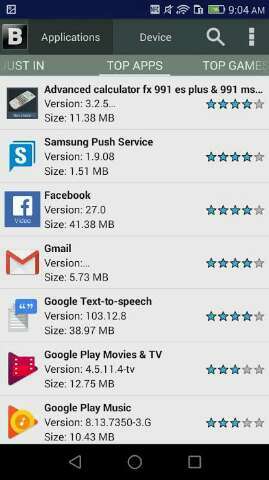 Checkout below play store alternatives that can be used to download both paid and free apps without using google apps store. Blackmart is google play store alternative that allows you download any Android application including paid apps for free hence the name “Blackmart“. You can download apps without signing in to your google account unlike on play store where you must sign in in order to download apps. The app is simply designed to present apps in categories as well as priorities just like google play store. Blackmart is a multilingual app supporting over 6 languages for users from many regions. App downloads on Blackmart is very fast and all these services is totally free of charge. The app is not available for download on Playstore but can be downloaded on this post by just clicking on the blackmart title above. You can also get it from some other third-party app stores on the web. It’s also called Blackmart Alpha which is the latest version. 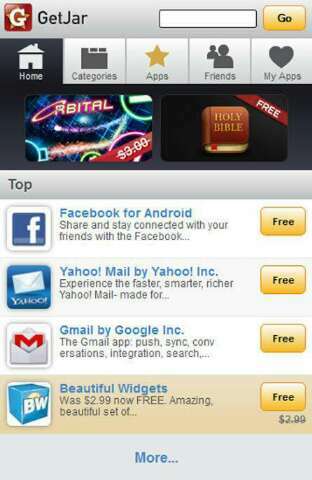 Second in this list is “Aptoid” which is almost a replica Google play store judging grom the design and user interface. It is an open source Android app store containing over 800,000 apps to choose from its collection that has over 3 billion downloads. Over 150 million users worldwide use this platform to download apps and games. Aptoid is available in different versions including Aptoide app for smartphones and tablets, Aptoide TV which is an edition for smart TVs and Set-top Boxes, Aptoide VR and Aptoide Kids for children’s devices. 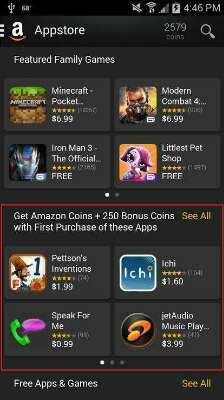 Amazon app store is another app like Play Store containing varieties of free and paid apps as well as paid apps for free. This app is unique because users gets to enjoy a giveaway of a paid app everyday for free which can only be gotten through Amazon’s dedicated app store. Apart from that, Amazon App Store also offers regular giveaway of free bundles of paid apps too. The massive app store also has huge selection of books, movies and songs which often goes for lower prices than Google play. Note that Amazon is still the world’s biggest online market place and they have improved in their app store department chasing the likes of Google Play and Blackmart. 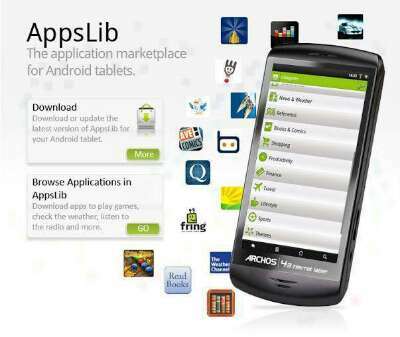 As the name implies, Apps Lib is a huge library of Android apps and games. Developed and designed with the ever imaginable simple interface, Apps lib makes it possible for even first time users to download apps without having issues searching and locating them. Filters are available to help in easily searching for a desired app amongst the millions in an easy way. Apps are in categories displayed in various sections that ensures that downloading and installation of apps and games are easy. The app market is desirable to those that want apps on their devices but are unable to get Google certification. For premium purchases, PayPal can be used to make them. First launched in 2004, Getjar is one of the oldest app stores still in existence where you can download games and any type of application for free. GetJar is an independent mobile app store with location in Lithuania. The service began in 2004 as an app beta testing platform for developers. After sometime, the company started making apps publicly available which becames a go-to for Android users. There was a change that happened in 2014 in which a Chinese company Sungy Mobile bought GetJar. Sungy took the GetJar business model higher and the platform now has almost 1 million mobile apps across all major mobile platforms, of course, including Android. Some of the app categories on Getjar includes games, social & messaging, productivity, tools, utility, entertainment, education, finance, food, health, news, personalization, shopping. This is for easy navigation. Apkmirror is the only app store on this list without a dedicated app of its own. It’s a popular website for downloading several games and apps just like getjar. 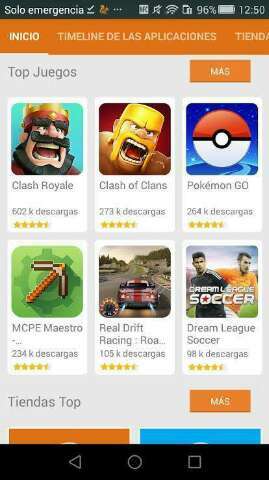 One of the important features of ApkMirror is that apps get published on its website even before hitting the official google play store so it’s a big alternative to play store. For your security concerns, the apps on the store are free of malware as claimed by the website. However, you won’t get any paid app on this store for free. That’s the disadvantage. Now that you have known some of the google play store alternative, you can now make your choice on the best apps like play store. But note that downloading apps from third-party party sources other than google play make pose a serious risk to your device as the apps may be infected with viruses and malicious Malware. So tread with caution ⚠.